At Rapid Orthopaedic Care, we treat a variety of back and neck conditions. Whether it is an injury on the field, around the house or that nagging pain you have had for a few weeks – our Orthopaedic Specialists can diagnose and treat your injury. 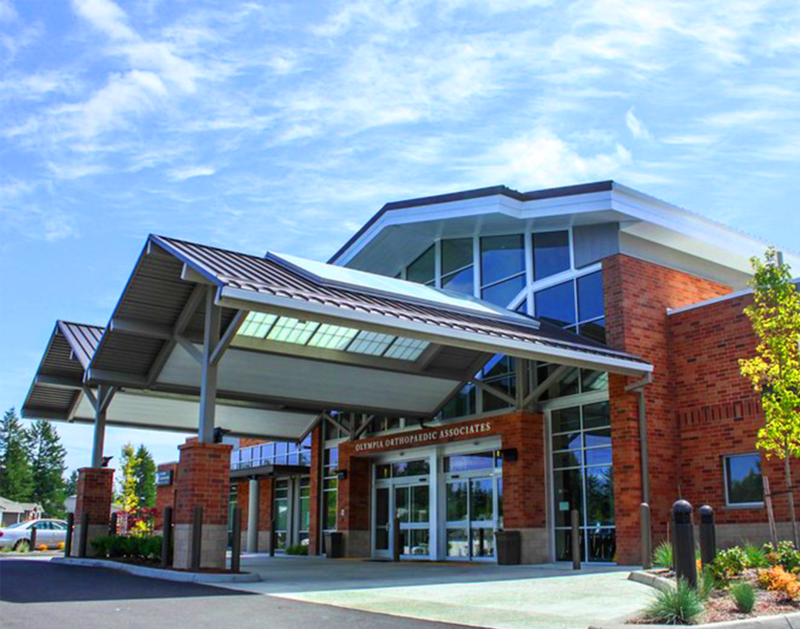 We have on-site X-Ray as well as evening and weekend hours at our location in West Olympia so that you can be seen on your schedule. It is important to be seen immediately for persistent back or neck pain as this can be the sign of an underlying injury such as an injury to the spinal discs, vertebrae or muscles of the spine. Whiplash occurs when sudden force “whips” the neck forward or backward and is common in motor vehicle accidents or as the result of a high impact collision during sports. This sudden motion causes strain to the muscles and ligaments of the neck and can result in pain and stiffness in the neck as well as dizziness and headaches. Sciatica is a term used to describe irritation to the sciatic nerve and is often the result of an underlying spinal condition such as a herniated disc or spinal stenosis. When this nerve is irritated the common symptoms include pain that radiates from the lower back and into the buttocks and leg, weakness in the leg or numbness in the leg. Similar to sciatica, cervical radiculopathy is the result of the irritation of one or more nerves in the cervical spine. Although the irritated nerve is in the neck, pain commonly radiates down from the neck and into the shoulders and hands. Other symptoms can include weakness, numbness or tingling in the hands or fingers. Strains and sprains of the lower back are commonly the result of overuse or lifting heavy objects with improper form. When significant amounts of force are placed on the muscles of the lower back they can become damaged, torn or inflamed. Common symptoms of back strains and sprains include pain, stiffness or muscles spasms in the lower back. Between each vertebra of the spine, small fluid-filled discs (intervertebral discs) provide cushioning and stability for the spine. When one of these discs is damaged by a sudden impact or overexertion, they can move out of their intended position in the spine (bulging disc). If the discs are ruptured, the fluid within the disc can begin to irritate the spine (herniated disc). Herniated and bulging discs both can place pressure on the spinal nerves or spinal cord. Common symptoms include pain in the neck or back, pain that radiates into the arms, buttocks or legs, numbness or tingling in the extremities or muscle spasms.